There are 20,000 people in the town of Dickinson in Galveston County, where disaster started early and at least two people died. 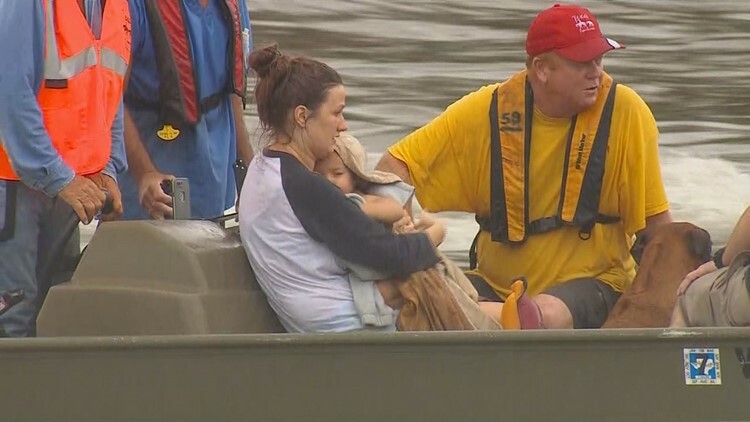 The water began to rise at 3 a.m.
By daylight, Coast Guard helicopters already rescued dozens in the town 40 miles south of Houston. Among those rescued, Karen Cheek’s invalid aunt was taken to the nearest hospital as fast as they could fly. "She’s 75 years old and she can’t walk, nothing," Cheek said. "And I can’t get no way there so I’m walking." "I’ve got to," she said. Many people were rescued from water as high as six feet deep by their own neighbors. By the dozen, boaters from surrounding communities put their own boats in the water to help. They brought flood survivors to the one part of I-45 in Dickinson still above water. 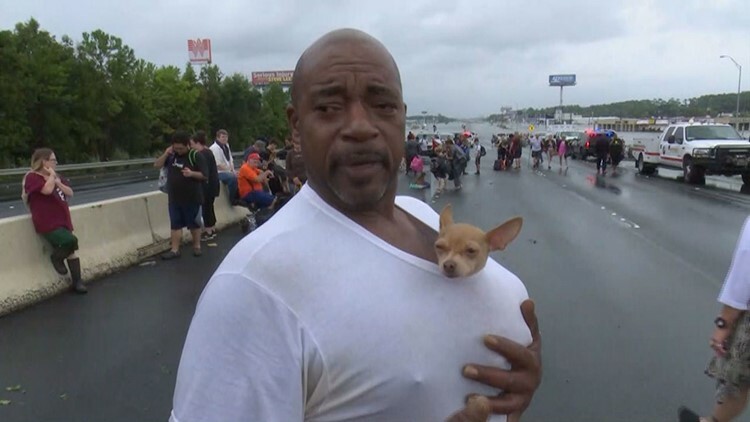 Along with their animals and waterlogged belongings, flood survivors boarded buses that transported them a shelter farther south in Texas City.